Farrworld is one of the systems that bridge the Inner Sphere with the Middle Regions. Cold and windy, the system's primary world's land areas are covered in and tundra. Large glaciers fill the planet's oceans. An orbital station sits in geosynchronous orbit above the capital city Georgetown, this space station is the last stop for travelers venturing into the Middle Regions. 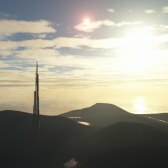 Fira's primary world is one the more successful terraforming projects ever finished. 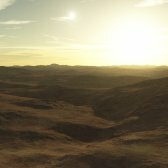 Colonists searched for a world in the Betelgeuse Region, that could free of the repressive government structures that were based around Orion Alliance beliefs. They secretly terraformed this world with that goal it mind, though its freedom was short lived as it ultimately become an Orion Alliance stronghold. 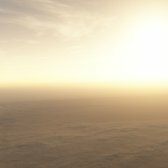 Fireton's primary planet is a terrestrial world with a vast endless desert. The desert is flat and sandy, it is likely the remains of a once great ocean that covered much of the surface. 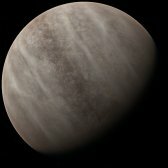 As the parent star grew into an orange giant, the ocean disappeared, leaving behind a long river called the Zaza River, the last remains of the ocean. Fornax Prime is the unquestioned center of the Fornax Region, the pinnacle of technology, population, and peace in an otherwise turbulent region. 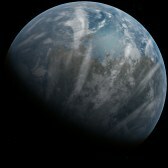 Fornax Prime's primary world is colder than Earth, the planet has larger polar ice caps, snow can occur on most parts of the planet. A dry, warm world orbiting a star in a binary system consisting of two yellow g-class stars. 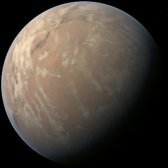 The first colonists on the Fortensin planet were drawn there because the world is rich in valuable minerals. Numerous underground mining colonies were established at various sites on the planet. Fourmile is a small system orbiting a yellow f-class star. Fourmile was once an outpost at the edge of the Izar Region, the planet was a haven for criminal activity. 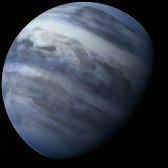 The Izar Region began growing and the planet Fourmile changed, those practicing illegal activaties were exiled from the system. 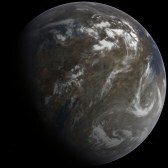 Planet known for its devastating storms and high winds caused by the planets fast rotation. Hurricane force winds can kick up out of nowhere and blow for days. Cities of rounded, domed shaped structures are built to protect the inhabitants from winds. 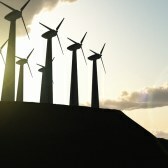 Wind generators are a common site across the planet, the world is powered by the high winds. 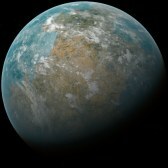 The system's primary planet is a terraformed world. 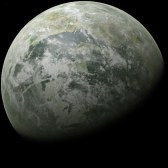 The terraforming was started by nearby Franklin, the growing population of the windy planet needed a new home more suitable for a large scale population. 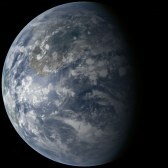 The planet, despite having a thick atmosphere, was stuck in an ice age and needed some terraforming. 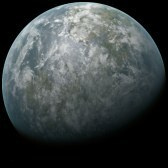 Colonized by religious settlers who were persecuted on their home worlds in the Hyades Region, Freeworld was established as place were its residents were free to practice their beliefs. The system has never quite lived up to its name. Located between 3 different regions, Freeworld has long been a strategic location that has been fought over by various colonization groups.